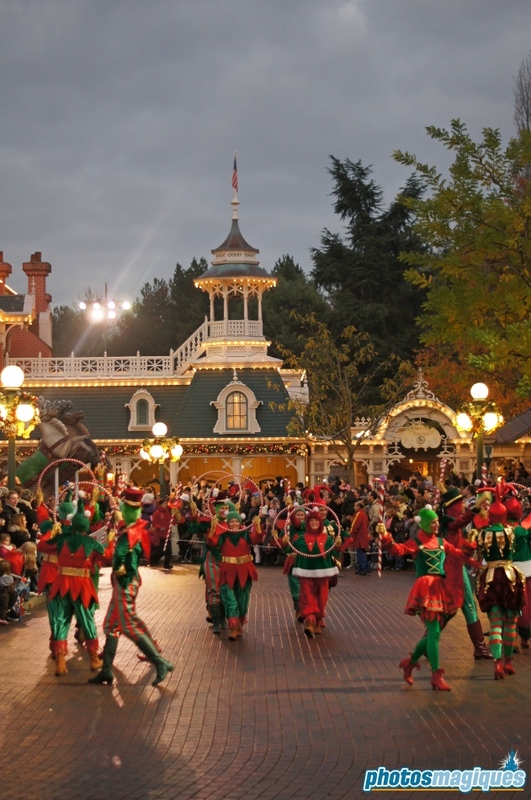 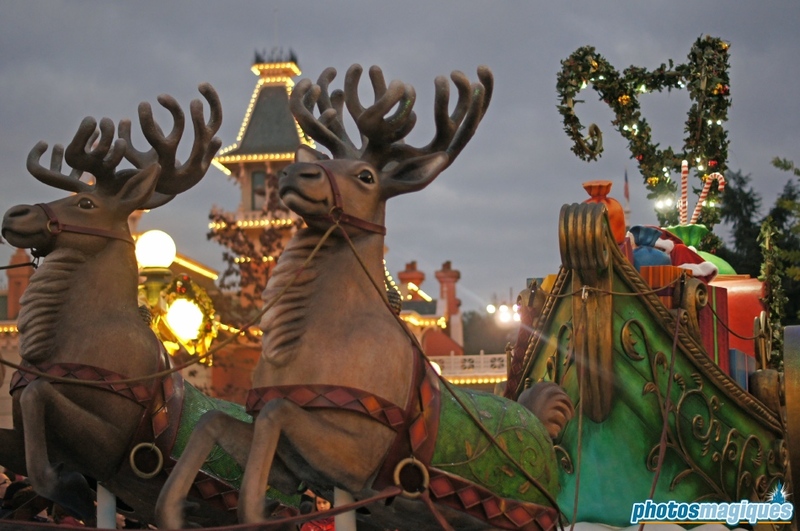 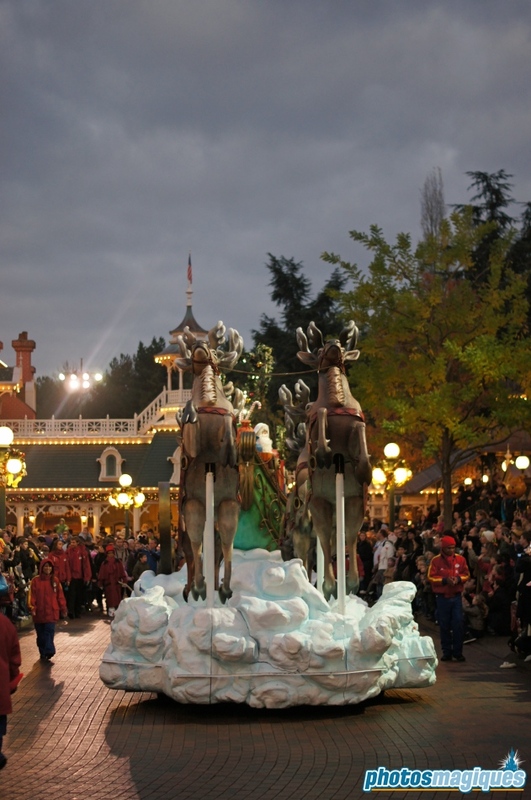 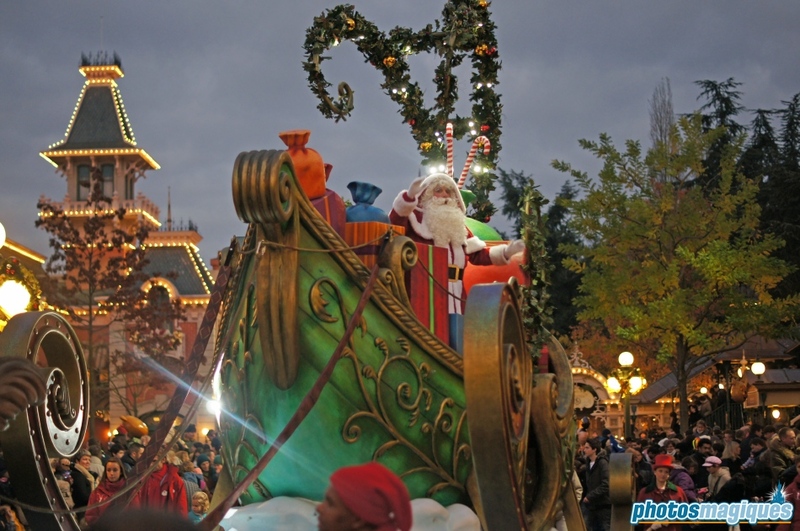 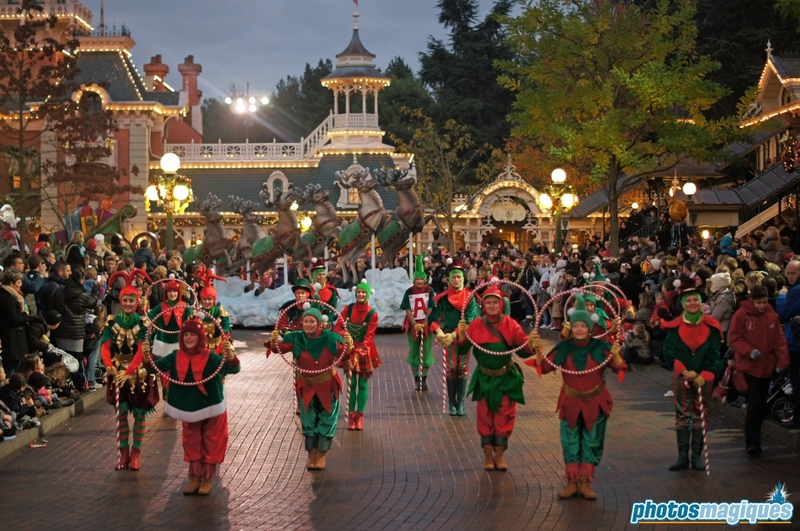 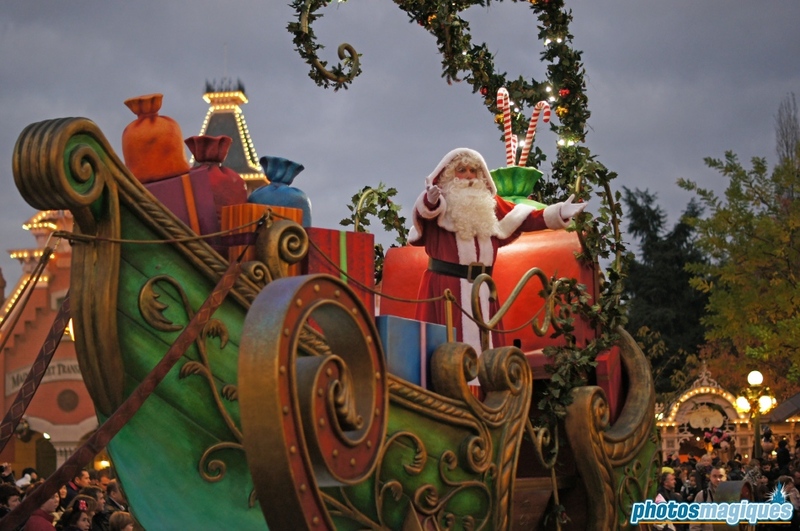 Disney’s Once upon a Dream Parade ended every day during 2011’s Enchanted Christmas season with a unique Christmas unit. 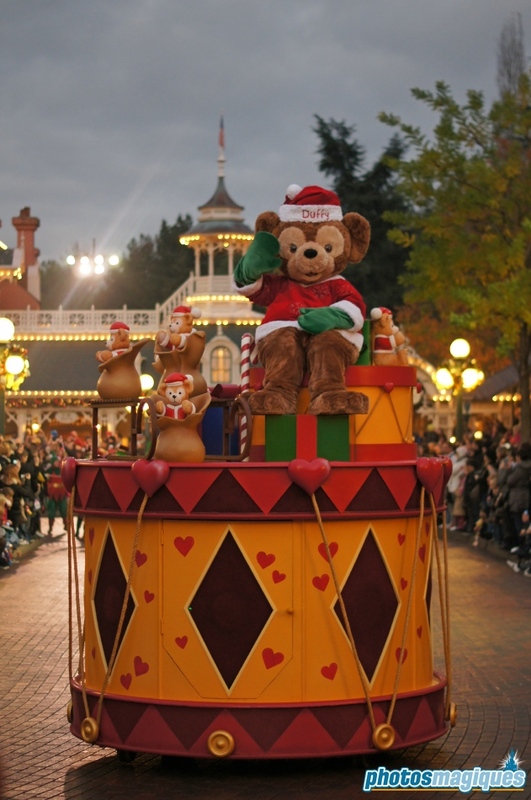 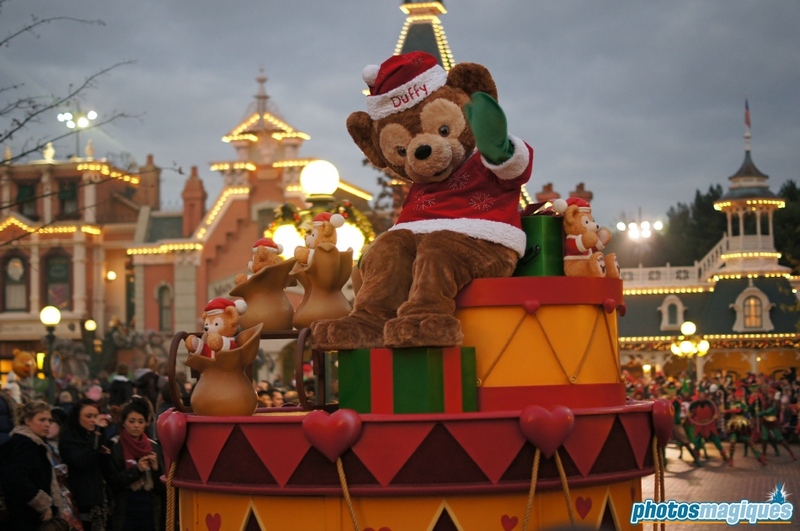 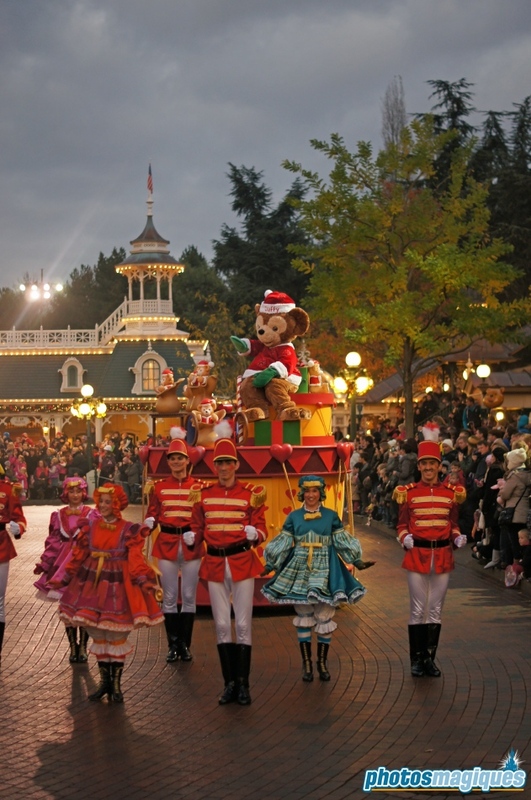 Traditionally Santa Claus sat high in his sleigh and this year for the first time ever, Duffy the Disney Bear joined the parade. 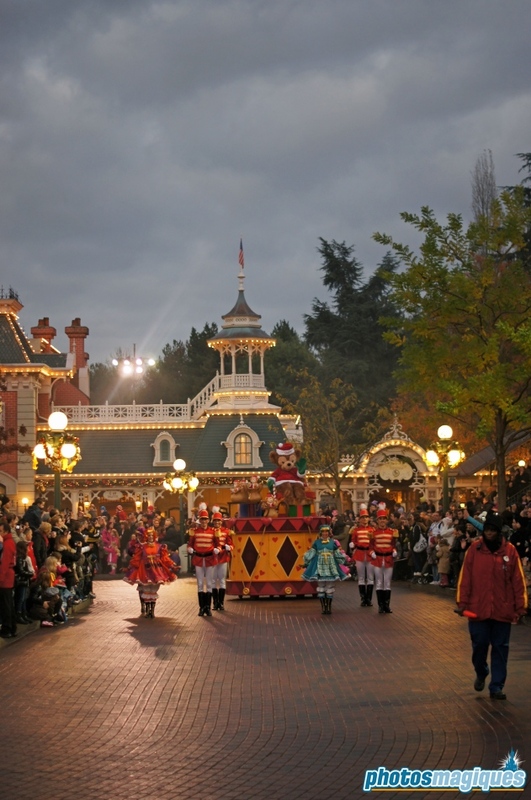 Town Square is usually the least crowded place to watch Disney’s Once upon a Dream Parade and especially near the parade gates located next to the Discovery Arcade entrance.